Your foundation provides the base to your whole South Jersey home, and it establishes the structural support for the rest of the building. If the foundation of your New Jersey home is compromised, the problems will carry through to the upper floors and main living spaces. It is important to dedicate some time to regularly inspect the condition of your foundation. You should always be vigilant of signs that predict foundation problems. Most foundation issues begin with the soil under and surrounding the home. Every building foundation is affected by the soil underneath and around it. As the soil, under and around your home, absorbs water, it increases in volume. The more water it absorbs the more its volume increases. This change in volume can exert enough force on a building or other structure to cause serious damage. As signs of foundation problems begin to manifest they can often be found in all rooms of the home. For basement and crawl space homes, poor drainage and hydrostatic pressure is often the leading cause. As pressure builds beneath the surface around the basement or crawl space, force is excreted on walls that lead to cracked and/or bowing walls. These areas leave the basement vulnerable to unwanted water intrusion and invite unwelcome leaks and water problems. Major Cement Cracks- Deep cracks in your foundation walls indicate movement that has placed significant stress on your foundation walls. Unaddressed cracks will only worsen over time and leave your foundation vulnerable to water intrusion. Minor cracks can be the result of normal shrinkage. Use a credit card as a gauge for the severity of the crack. If the crack runs thicker than a credit card, your foundation is likely experiencing movement that could lead to more concerning problems if untreated. Exterior Issues- Brick and stone facades are generally more fragile than the foundation itself. Typically, brick and stone walls will experience cracking sooner than the foundation due to the vulnerable mortar joints. Warped and Cracked Walls- Cracked or bowing walls can easily be fixed; however, this is usually a sign of underlying foundation issues. Shifts in your foundation walls are moving your interior walls and creating the cracks and bowing. (Main culprits: soil movement under the foundation, hydrostatic pressure and poor water drainage). While damage to your interior walls can be easily fixed, you NEED to address the underlying foundation problems. Unaddressed foundation problems will only grow worse with time. Sagging Floors-Warped and sagging floors can be directly related to foundation problems– Contributing factors: Shifting soil, humidity from seepage, and inadequate foundation waterproofing. Crooked Doors and Windows- Like your walls and floors, your doors and windows may shift with foundation problems. Doors and windows affected by foundation problems will be difficult to open and close, and they will display uneven gaping around the jamb. Mold- A problem with your foundation leaves your South Jersey home vulnerable to unwanted water intrusion. Where there is water, there will be mold. The first sign of potential water intrusion in your basement or crawl space is usually water staining or efflorescence. Efflorescence is the white, powdery substance that develops on the foundation wall surface. It is the result of water or vapor seepage which forces soluble salts and minerals to the surface. Efflorescence is not mold, but it is a sign of water or moisture seepage which can cause mold. 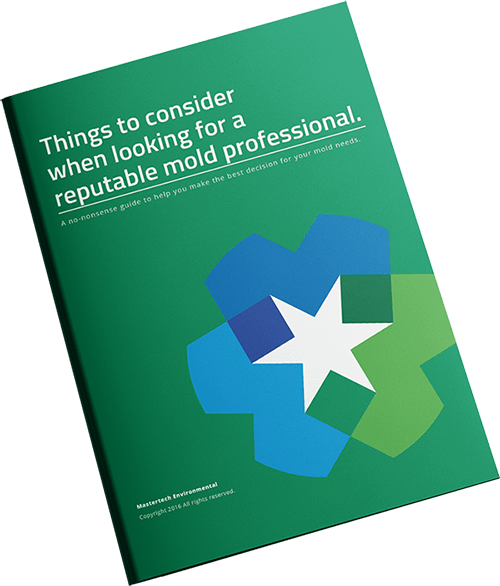 If you suspect mold or have damp conditions and a musty odors in your basement or crawlspace, consider calling a certified mold professional to conduct a NJ mold inspection. Increased Humidity- The presence of water from foundation problems, even a small amount, drives up indoor humidity. Humidity leads to various other problems. Worsening Damage- Not only will foundation problems no go away, they will only get worse with time. Any unaddressed damage to your foundation walls will invited unwelcome water intrusion into your home. If unaddressed foundation problems have led to major water intrusion or flooding in your home, you will need to hire a professional NJ water damage restoration company to have your basement or crawl space properly dried out to prevent further damage. Foundation problems are often the unfortunate side effect of natural events. It is important you take the time to regularly monitor your property for conditions that can contribute to future problems. Preventative action will go a long way to avoid costly water damage repairs down the line.